Holiday boat parades and more...let's celebrate! There’s no place like our tropical HOME for the holidays and we’re stringing lights on palm trees, docks, boats, and Christmas trees! 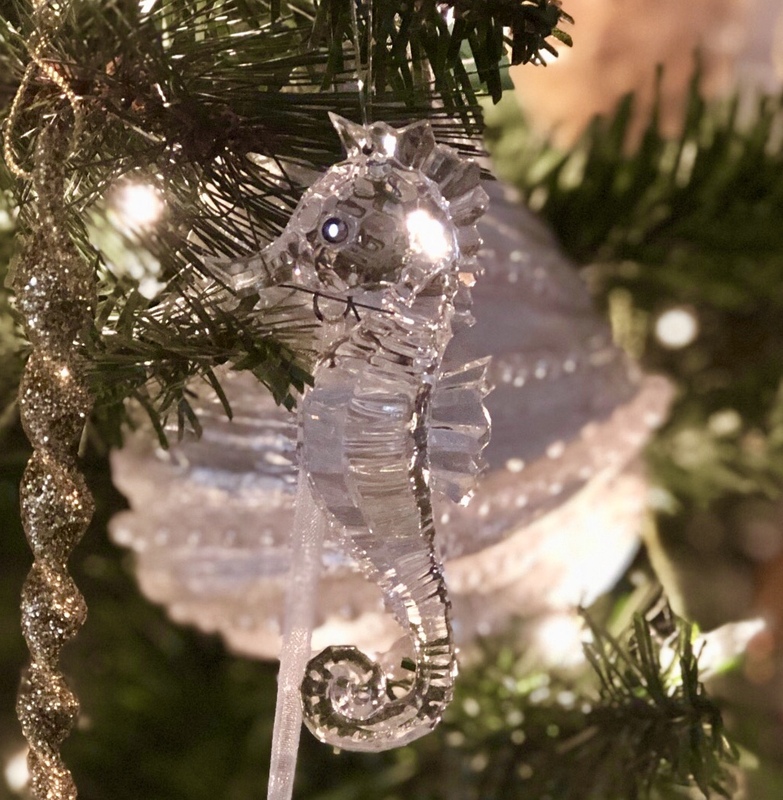 The holiday season will be warm with sunshine; sprinkled with sand, waves, and shells on the shores and our homes are twinkling as we toast the tropics. So let’s get out, explore, and en-JOY! In Pinellas County, the calendar of seasonal events is as welcoming as each community and boat parades are the highlight of many of our beachside towns. Mark your calendar, check it twice, and prepare! Attend the Tarpon Springs Illuminated Boat Parade on the Anclote River where Santa will be handing out treats at Spring Bayou. The 2018 Cotee River Christmas Boat Parade and Dr. Unger’s Winterfest takes place in Sims Park in New Port Richey. In Dunedin, make a day of it. Take the children to Breakfast with Santa, make reservations at a local restaurant, then sit back and take-in the Dunedin Holiday Boat Parade & Tree Lighting from Edgewater Park. Pack a picnic, hot cocoa and invite your friends to sit on the seawall at Coachman Park to see the Island Estates Holiday Boat Parade. Saturday, December 15 the Indian Rocks Beach Holiday Lighted Boat Parade will travel the canals along the Intracostal Waterway. The Redington Beach and Indian Shores Boat Parade is a Sunday evening event with a viewing party at Chief E.D. Williams park. The Treasure Island Lighted Boat Parade floats through Treasure Island and in front of Gators Cafe on John’s Pass. St. Pete Beach Boat Parade and Winter Festival are best enjoyed at the St. Pete Beach Recreation Center with craft stations for children and a visit from Santa. The 33rd Annual BCYC Gulfport Christmas Boat Parade shares the fun with the communities of Town Shores, Kipps Colony and the Pasadena Yacht & Country Club, Pasadena Golf Club Estates, and Isla del Sol. Due to the construction of the new pier, we’ve read the St. Petersburg boat parade has been canceled for 2018. Deck your HULLS…we’ll see ya out on the water! Get out your red running shoes and put on your Santa hat for the 35th Annual Jingle Bell Run in St. Petersburg or purchase some fun artwork at Gulfport’s Annual Holiday Hoopla or make a reservation to see Christmas with Rockapella at the Capitol Theatre in Clearwater or Moscow Ballet’s Great Russian Nutcracker at the Mahaffey in St. Pete. Across the bay in Tampa, hop aboard the Pirate Water Taxi for River of Lights Holiday Cruises or visit Curtis Hixon Park Winter Village with ice skating, shopping, and dining along the riverfront. At the University of Tampa, you can step back in time and imagine Christmas in 1891 at The Henry B. Plant Museum Victorian Christmas Stroll or take in a classic Christmas movie at the newly renovated Tampa Theatre. Just north of Tampa in Pasco County, take the family to The Shops at Wiregrass and experience Symphony In Lights, a holiday light show and snowfall with music by the Trans-Siberian Orchestra. From Pasco to Hillsborough and throughout Pinellas County, all of the festivities are sure to brighten your holiday spirit. In the center of it all, Largo Central Park is fully lit, shimmering with more than two million lights, a carousel, and seven-story Ferris wheel until January 1.